How does the A7000 compare with the A6000? Screen size is bumped to 5.5 inches – there is really no good or bad in this and comes down one’s personal preferences. Camera – it is really disappointing to see Lenovo did not choose to bump up the rear camera and stayed with the 8MP but thankfully the front shooter got an improvement from 2MP to 5MP – selfie freaks, go crazy! Not that we are mad about megapixels nor we tend to think more MP = better pics. Just that the neighbouring competition has the rear shooters at 13MP and one will lean towards it if camera were to be one of their top priorities, especially with the Redmi Note 4G housing a stunning camera at that price. Sound – A7000 will be the first phone to be shipped with Dolby Atmos and hence this will bring about an enhanced multimedia experience and the A6000 already had the Dolby Digital Plus! Battery – 2900mAh is what the A7000 would have, 600mAh more than the A6000. Is this better? well yeah but remember the Octacore processor and the bigger screen may consume more battery and risk negating the bump up but Lenovo claims to have optimized the Vibe UI to bring in improvements around the battery life – so lets wait to see it! How does the A7000 compare with the competition? – well it would be immature to start comparing the device when we have not even got our hands on it. However, just looking at the spec sheet, the pricing, the performances from the competition and A6000, the A7000 would not be giving it a very tough fight : 8MP camera, MTK processor – will be the main points that buyers will compare with the Redmi Note 4G and the Yureka. But given the fact that Lenovo phones have good build quality and good battery back up, it boils down to the choice of buyers. We have seen the Moto E(2015) sucessful to a certain extent though the Redmi 2 which is priced the same and offers much better specs. Motorola leverages on the ‘Trust’ factor and Lenovo here would be looking to do the same. Do let us know your thoughts, feedback and questions if any and we will try to cater to that in the coming days once we get a unit to play around and as we come back with a detailed review, verdict and comparative conclusions. 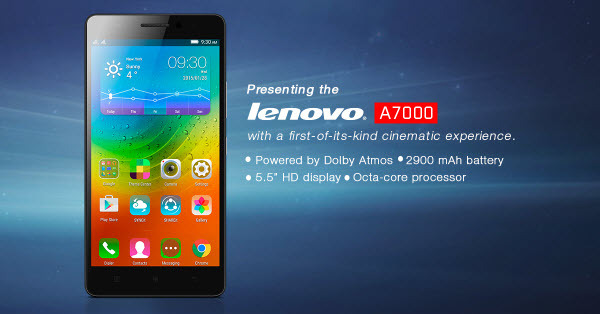 Lenovo a 6000 & 7000..very very fantastic mobiles….